Spaces Between The Gaps: Sunday Salon, Another Feature! 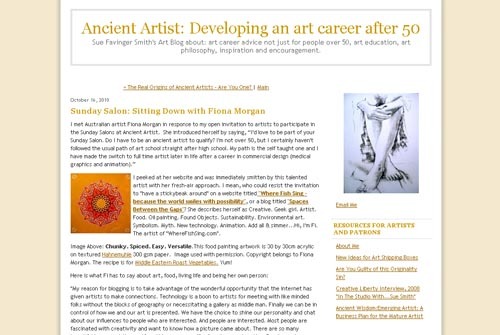 Thanks to the lovely Sue for featuring me and my work in her weekly Sunday Salon. I highly recommend you follow her blog for writings on art and creativity of a more accessible, thoughtful and relevent nature than the usual artistic bolderdash.